If you're expecting the next version of the Compact Framework to be included in this CTP you'll be dissapointed. CF v.next didn't make this CTP. The CTP comes as a virtual machine on Windows Server 2008 which also includes TFS CTP 2010. A new tool I learned about recently from Eric Nelson called LINQPad. It is a tool that allows you to write LINQ queries directly into its IDE then execute them. You can of course see the results and also the SQL generated (DLINQ) - which saves you the need to troll through the SQL Profiler when performance tuning your code. In addition the guy who wrote this tool also wrote a book called C# in a Nutshell. All the code examples in his book can be found in this tool which you can change and execute if you want. A great way to learn LINQ. It supports VB too. There is no support for LINQ to ADO.NET (Entities) so you won't get to see the SQL generated. Other than that the LINQ will be the same. Rob Miles has kindly published (for free) a book that he uses as a basis of the first year programming course at the University of Hull. Get the book from here. 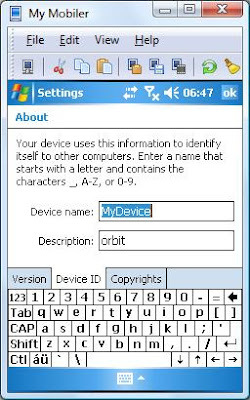 Setting the name of a Windows Mobile powered device can be achieved by manipulating the registry. 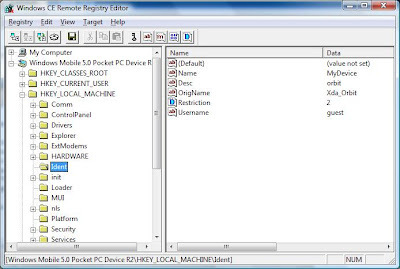 Since CF 2.0 we have had the luxury of a Registry managed wrapper, so there is no need to P/Invoke the registry API. This post shows a simple example how to read and update the name of the device - which is stored in the registry. As you probably know CRM customizations support IFrames – which are the only way to have true integration in the CRM UI (as per the current latest version which is 4.0). The “only way”, at least, the way I have figured to do this – is to pass this data across via the querystring, that is, append it to the URL. //Append the variable to the aspx page. I need to explain the above script a bit. crm_field is a type that belongs to the entity. This might be a custom entity or a CRM one, it doesn’t matter. 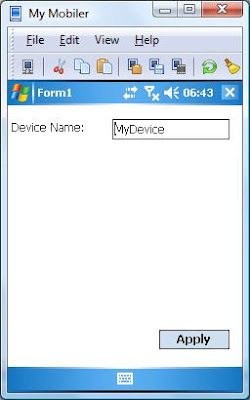 IFRAME_crm_my_form is the schema name for the custom IFrame (ASPX page). We simply get the current URL so that we can append the querystring.